What’s so big this year is that in October there will be a dramatic shift in the way fraudulent or counterfeit transactions are handled. The shift could bite you, the merchant, if you’re not prepared. Today, if you, the merchant, accept a counterfeit card and do everything else correctly, you don’t hold any liability for that chargeback. The bank that issued the card is responsible for the loss. After October first, the loss may be your responsibility. The reason for this change, known as the “liability shift,” is that the card networks (Visa, MasterCard, Discover and American Express) all have changed their rules to allow for the liability on a counterfeit card, and in some cases a stolen card, to fall to the merchant. The liability shift is coming about because of the use of the new EMV or “chip cards” or “smart cards.” These are cards that have an embedded chip. Banks and credit unions are issuing the chip cards to consumers now, in preparation for the liability shift later this year. 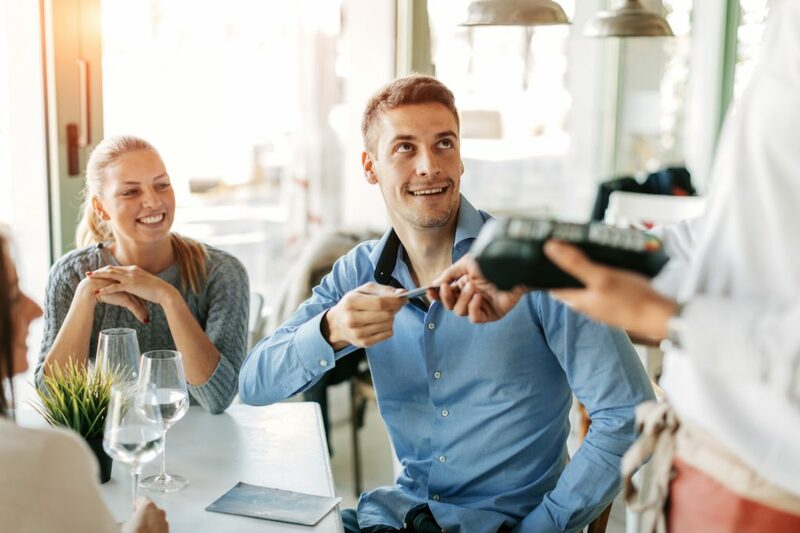 If you have not already upgraded your credit card terminal to accept chip cards, you need to seriously consider the impact that not upgrading will have on your business after October 1. While there is no requirement that you upgrade your terminal, failure to do so could expose you to chargebacks you don’t currently see in your business. You chose not to upgrade your terminal and a consumer with a non-chip card shops in your store. This is identical to what happens today, and there is no change in the liability. The issuing bank is still responsible for counterfeit transactions. You upgraded your terminal and the consumer uses a non-chip card in your store. Same thing, you are not responsible for the bad transaction. You upgraded and the consumer presents a chip card for payment. No change in liability here, either. The issuing bank is still responsible for the bad transactions. You chose not to upgrade and the consumer presents a counterfeit chip card in your store. You are responsible for the chargeback, even though you did all of the other things correctly. Obviously, #4 is the cause for concern and confusion in the merchant community. Since you have the least secure system (non-chip card ready) you bear the risk of the counterfeit card. In some cases, you may also assume some additional risk in the world of lost or stolen cards. The big question, then, is…should I spend the money to upgrade my terminal? If you are a retailer who is selling a highly desirable item, one that is easily sold on the black market and has a high average transaction amount, I would suggest that, yes, you should upgrade. For example, if you are selling big screen TVs (large ticket item that is highly desirable and easy to turn into cash after the fact), you can pay for the cost of a new terminal (about $500) with just one “bad” transaction. Yet if you are a local quick-serve restaurant with a $10 average ticket and 4 cash registers, you might argue that it’s not worth the cost to upgrade if the current terminals are working fine. It would take 200 “bad” transactions to cover the cost of the upgrade. Obviously, if your machines are damaged in some way and need to be replaced anyway, you should choose to upgrade at that time. At the end of the day, the new rules do not mandate that you abandon your current equipment, and the big change that’s coming will not prevent you from doing business after October 1. However, you must decide if the risk from the changes is worth the cost of the upgrade. As always, if you have questions about this or any aspect of the merchant processing world, please don’t hesitate to contact our customer service department.